On behalf of Peston and QUUEENN, we have some very exciting news to share! We have been offered a retail space at Bow Market, a new development for indie artists, designers and food vendors located in Somerville, MA. The funds we raise here will help us secure our lease and build out our space. 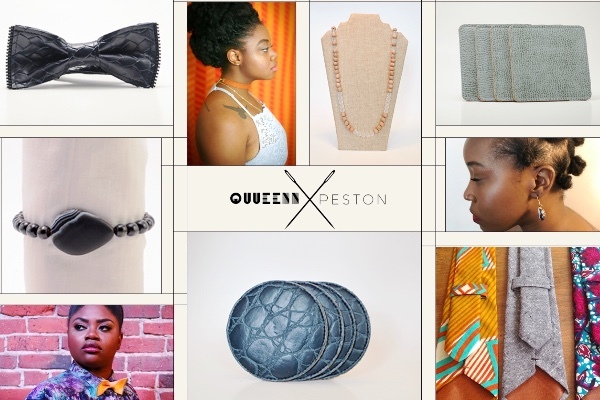 Not only will the shop carry all the Peston/QUUEENN items you love but we will also be highlighting other Boston based designers. Any and all support in bringing this space to life is greatly appreciated. Thank you! Peston is a lifestyle brand that aims to bring unique products to their community at affordable price points. Because quality is a cornerstone in Peston's philosophy, all of their apparel, accessories, and home goods are made in their studio with the utmost care and attention to detail. Peston’s founders are Boston-based artists Ellyx and Cassandra (Dorchester and Roxbury respectively) who fundamentally believe that their communities deserve nice things too. QUUEENN is a futuristically vintage brand dedicated to enhancing and curating clients’ regal and bold nature with high-end custom apparel and accessories. Our brand sources all of its starting materials in unique ways to create one-of-a-kind designs. From the vintage charms to designer textiles- our line embodies subtle statements and bold accents. All of our designs are handmade by the founder Cassandra Queen. Hello Friends and Family ! A few quick updates to share. This past week, Ellyx and I have been building out our store and it’s been quite the adventure. From painting, to wood staining and assembling metal piping for our shelving- it’s been pretty hands on. We’ve certainly learned a lot in just a week. The amount of Home Depot trips alone was obnoxious ! Check out our pinned IG story at @shoppeston if you want some behind the scenes looks. We also got our T-shirts this week ! If you donated $50 or more to our campaign, look out for an email from me this week. If you would like one of our limited edition t-shirts it’s not too late to donate. Finally, we are narrowing in on our open date (2nd week of May). Stay tuned, we will have a date by this week ! We are just a few short weeks from our grand opening! We just wanted to send a HUGE thank you for all of your love and support thus far. We wouldn’t have made it to this point without you. We are beginning our store build out this week so we are in the home stretch! We are so close to actualizing our brick and mortar dreams. If you would still like to support us please consider donating. Every little bit counts! We will also be sharing grand opening details soon so stay tuned! First we would like to thank everyone for their support. We are very excited to announce that we will begin or build out soon! That means we need your support more now than ever. 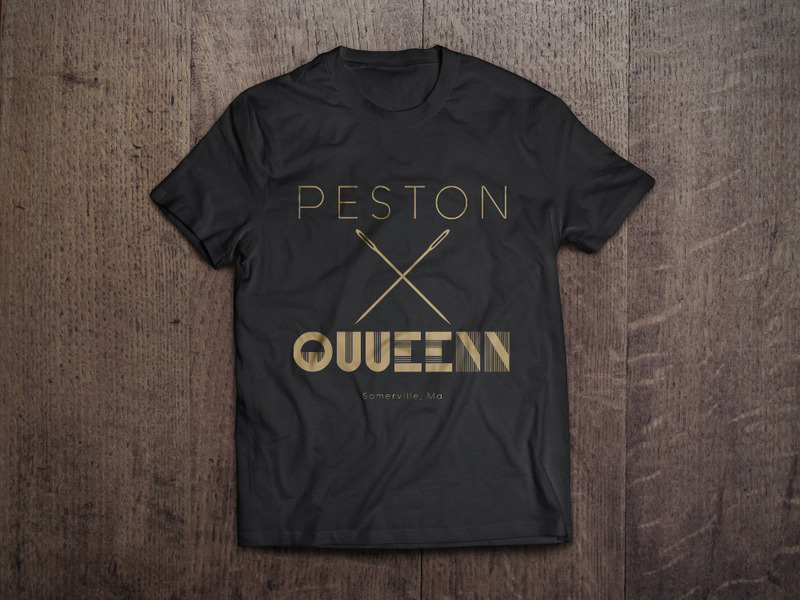 For each donation of $50 or more you will receive an exclusive Peston X Quueenn t-shirt at our grand opening! So keep spreading the word and thanks again for the support! Leave your size in your comment!